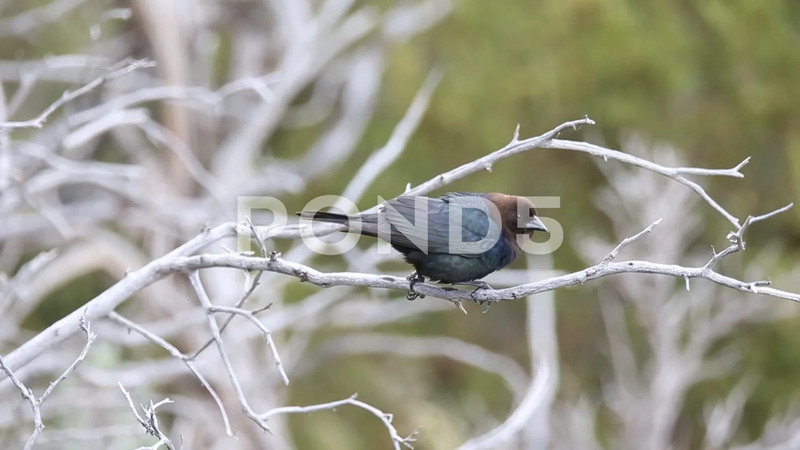 Description: Brown-headed Cowbird (Molothrus ater) on a branch. It walks along it and then flies away. Emigrant, MT.